Ever since I ramped up my running activities back in May, I have been in search of ways to remedy the ailments that have plagued me during this time. I thought it was broken sneakers initially (My Asic GT 2000 3s). Then I tried the Asic Gel Nimbus for a month in September and while they felt fantastic for a short period the “GEL” broke leaving a loud crunching noise that just became annoying. I used a foam roller and other tools regularly as well but the pains persisted. 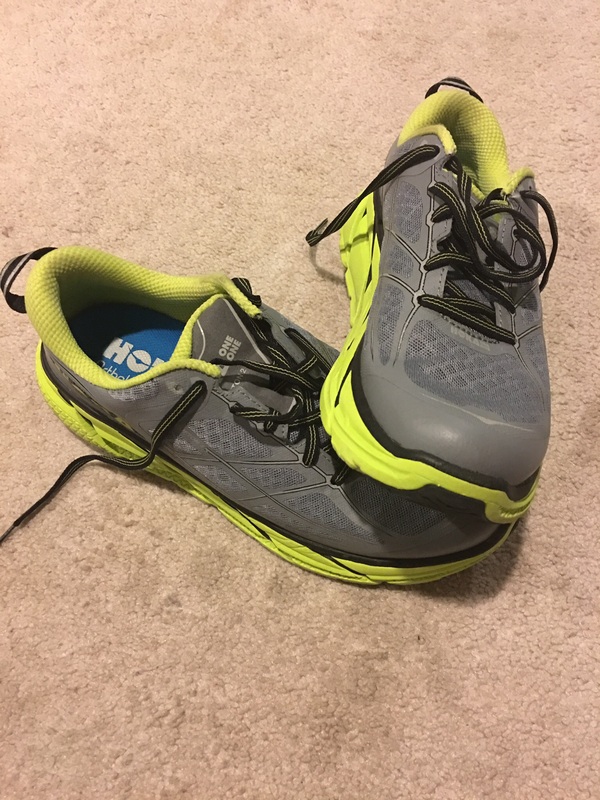 So after after the folks at Asics gave me a hard time on returning the broken Gel Nimbus’, I moved over to another brand and tried the Hoka One One’s – a brand that I new little about and at first glance, thought they looked a tad bit “strange” given the very high soles. Flash forward now 36 days. I can honestly say, these shoes have completely changed my running. Previously I would run 5 or so miles and be left with knee pain a few hours later. Today, I run 7 miles and I feel like I can run 7 more right on the spot. The impact on my legs with these sneakers has been minimized to say the least. Further, as my knee pain has gone away, my times have improved dramatically as I have dropped my minutes per miles by almost 35 seconds in one month and continue to steadily improve each time I head out. I have been so sold on this product that I ventured out recently to get the Speedgoats for my runs off the road in the coming months (More on those when I get a few runs under my belt). Billy Joel wrote a song a long while ago called “its all about soul.” When wearing these shoes, the same applies as the sole is big…in fact, probably the biggest one’s I have encountered. These shoes tend to rock backward…versus rocking or leaning forward like all the Asics I have worn over the years. As a result, if you are a forefoot runner, this will push you towards the back of your foot. No problem though as one can still run on the forefront (like I do though sprinting is somewhat of an issue). From reviewing the other reviews on the web and the technicals of this shoe, this rocking technology is perhaps why my knee pain has evaporated. It is also very unique to these shoes and brand and has attained a solid following as a result. These shoes are light! They are also bigger than most running sneakers I have used or compared them too. But when you pick them up, you are surprised by how little effort there is to pick them up. This lack of weight helps over the long runs as the legs are not forced to lug them (and can focus on the pounding). From what I understand from the previous versions of the Clifton’s, the front of the foot and the tongue were considered issues for some. For me, I have not noticed any issues from this area of the shoe and for my medium width foot, the front is comfortable and the tongue works just fine. So the look of these sneakers is different than others. I remember when I was running my first half marathon back in May, someone ran by me with Hoka’s on. I honestly did not know what they were but after reading about them over the past few months and now wearing them, I have become sold! Now, there is one issue that I am having with them and it is this – these look like the sole could break down as more and more wear and tear hit the shoes. This is no different than any other sneaker but these shoes actually show it (versus the Asics which do not). Is this a big deal? Probably not. But for some who like the look for their sneakers, this could come into play. After 130 miles in running with them, they are holding in well. If you read the summary, obviously you know I am going to rate these rather highly. As mentioned my knee pain is gone and I believe these shoes have helped me become a better runner. I was so sold on these shoes that I went out and got the Speedgoats recently to use on the trails in my area. The Speedgoats are a different shoe with more push on the front of the foot (I will review those at a later time). That is one issue for me with the Clifton’s….your feel of the turf or ground you are running on seems nonexistent at times. I guess this is only a problem till it becomes a problem. My Score: 5 (out of 5).